Currently in display in the Embarcadero Four Conference Center. Homage to my adopted home of San Francisco. This collage is built up from photographs I took of the city at different times and seasons, all aspects that were meaningful to me and my experience of this special place. 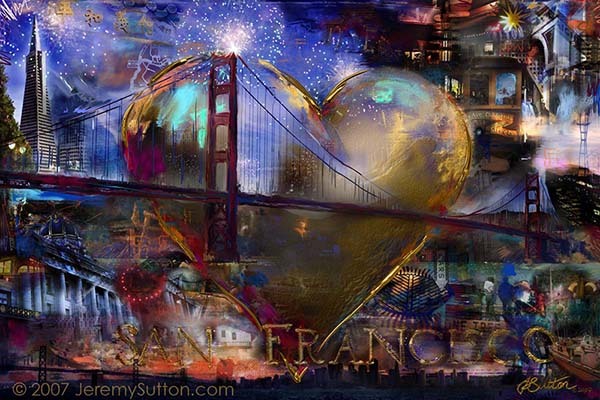 This design was used for one side of my Large Heart Classic San Francisco that was displayed in Union Square, San Francisco, in 2011, and is currently in the Visa headquarters a few miles south of San Francisco in Foster City, California.